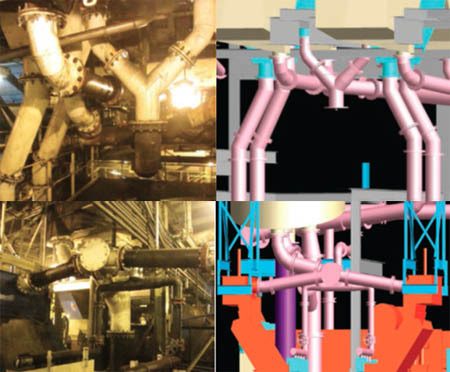 3D Laser Scan Technology – Allows F&P to scan an existing facility and import the data into 3D design environment to more accurately design replacement parts as well as implement placement of upgraded equipment. Laser Scanning is quickly becoming the new industry standard as a way to make very accurate measurements in complicated environments. This is precisely why using this technology is the best solution for measuring as-built conditions inside buildings.